Balthazar is a well decorated bar restaurant, situated in a renovated Neoclassical building in one of the best locations downtown Athens. While the front section is a happening place, the inner half is a quiet high-end restaurant. El Taco Bueno is one of the few Mexican restaurants in Athens. It has three branches in Halandri, a northern suburb of Athens. The decoration is lovely while the space is organized according to the Mexican spirit. Housed in an old building on Pandrosou Street, not far from the center of Plaka, Hermion is a classic restaurant dedicated to the unique tastes and flavors of Greek cuisine. When the summer is close and the sea fragrance becomes more intense then it is time to visit Istioploikos (Yatch Bar), one of the best establishments located in Piraeus. The design looks like a luxury boat ready to sail in the Aegean Sea. Klimatatria is one of the few traditional taverns in Athens which has been praised by several generations for the fine barrel wine, the traditional Greek cuisine and the sounds of Greek music. This fashionably decorated double storied restaurant with a roof terrace opened in 2006. The most interesting feature of Kuzina is the romantic roof terrace with great view to ancient sights and the sunset of Athens. O&B Athens All Day Bar Restaurant invites you to wine and dine with style. Located conveniently between Thission and Monastiraki, you are welcomed to taste a delicious meal and a refreshing cocktail. Priamo is a luxury restaurant with very tasty Italian cuisine, excellent wine, and fair prices. 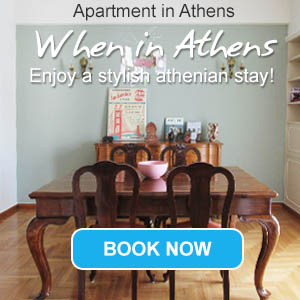 It is located in the northern suburbs of Athens, at the entrance of Filothei neighborhood. One of the oldest restaurants in Plaka, this tavern is known for its strong and delicious flavors. It is housed in two mansions, one across from the other with tables outside. Quality, perfection and authenticity are three words to describe the philosophy of Spondi, a special restaurant located in the heart of Athens. It opened its doors in 1996, next to a historical sight, the Kallimarmaro Stadium.